The Lulu edition is the best deal and right now it's on sale for 20 percent off! Zazzle's version costs more but it does have more colorful calendar pages and has some customization options. The kitties are the same on either calendar. 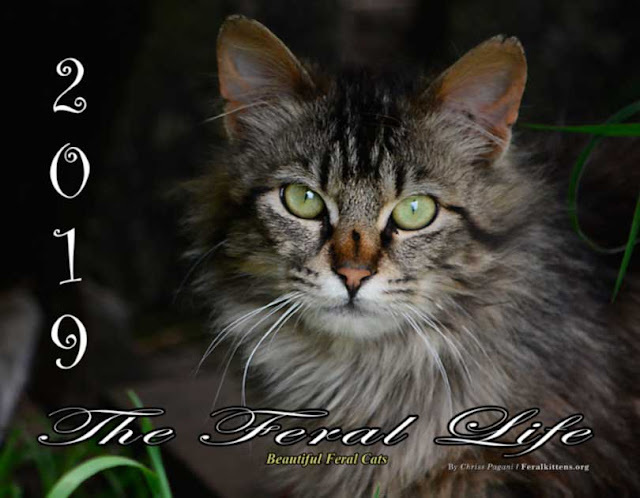 Each feral cat is lovingly photographed by artist and photodocumentarian Chriss Pagani, and all proceeds above print-on-demand costs go toward helping the kitties. This is a work of compassion and love. Won't you join me?